Are you going to any holiday parties this season? If so, you may want to check out these uber cute items I have found for your shopping pleasure. There are lots of cute things out right now, and it's so fun to imagine myself going to a fancy cocktail party at a 5 star restaurant on the top floor of a luxury hotel with an amazing view and an open bar. I have to imagine because this is not actually happening. A girl can dream though! There's still time to plan something fun for NYE, so maybe I'll set my sights on that. I do get to go to a holiday party for Adam's work, and I'm looking forward to that. Parent's night out! Love you kiddos, but every now and then it's nice to have conversations about something other then tractors and legos. It's a little more on the casual side, but I still like to get semi-gussied up just because I can. And, because I don't get to dress up that often anymore! I love, love, love this dress! It would be flattering on so many body types. And, the color! Love! 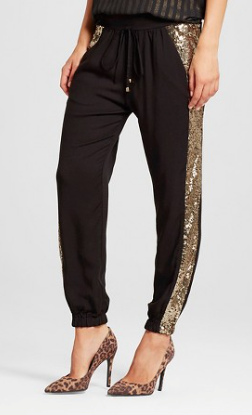 These sequin panel jogger pants are so cute! The sequins bring a fancy vibe but they are still casual at the same time! I posted this scarf on Instagram last week, when I wore it out for a girls night. It instantly spiced up my very plain little black dress and made my outfit so much more festive. This floral dress from Modcloth is adorable and comes in plus sizes! I am really liking these strappy heels, and I love the cranberry color! 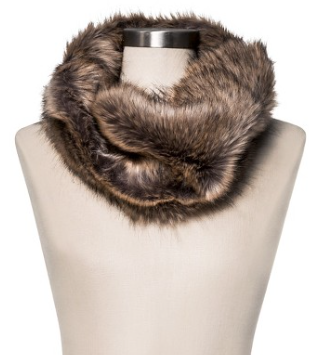 They would really add interest to a plain dress or pants outfit. 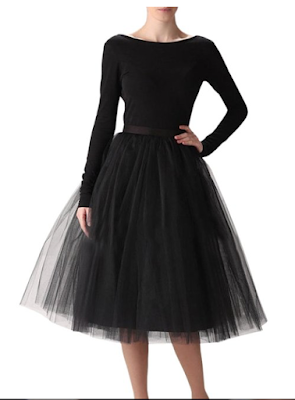 How fun is this tulle skirt! If you are a ballerina or princess at heart, this would be right up your alley! 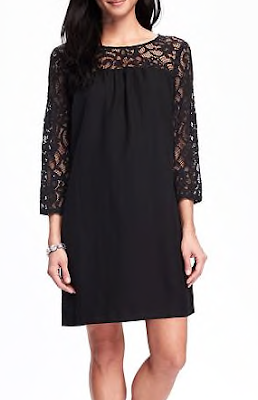 I have a similar cream one that I wore for maternity pictures and I love how they turned out. The tulle looks so soft and flow-y, and it's just plain fun to wear! And, this one comes in every color of the rainbow, and then some. I got this red Max Studio top to wear to Adam's company party. I haven't decided yet what I'm going to pair it with...black jeans and booties maybe? A simple choker? Thoughts? 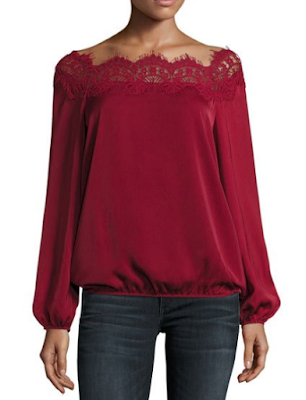 I just loved the lace neckline and the color just says "holiday". How cute are these shoes? 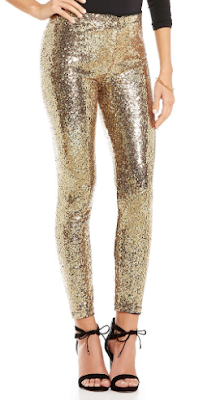 Bright and sparkly and would definitely make your casual office party outfit so much more fun! They come in black too. 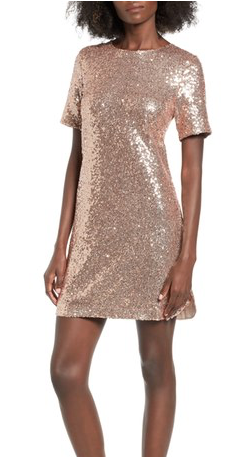 This sequin t-shirt dress looks super comfy! To be comfortable in a fancy dress? Is there such a thing? Looks like this just might be the dress to make that wish come true. This lace trim shift dress from Old Navy is cute and also looks very comfy. 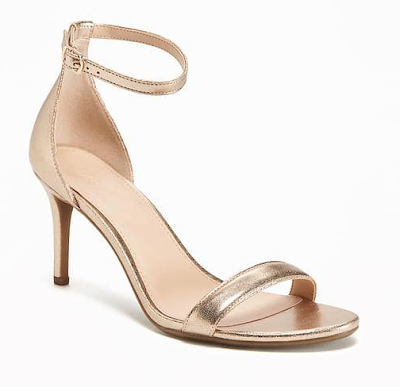 These gold heels are very fun, timeless, and cheap! 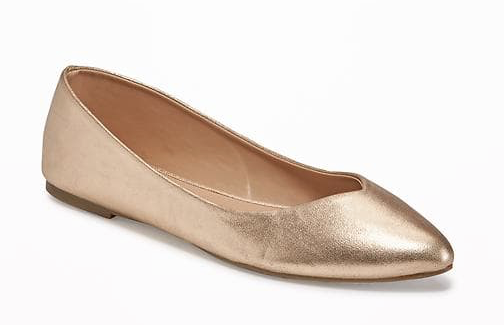 And, if you need a flat, these gold pointed toe flats would be the answer to your prayers as you are breaking it down on the dance floor. 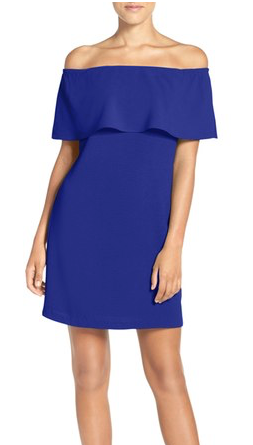 This dress is so festive, but could still be worn to work or other events throughout the year. These pants are SO fun! I love that they come in lots of different colors too. And, they are LEGGINGS! I just realized I have a lot of gold items in my lineup. I am definitely liking gold these days, but some of these items come in different colors, so check the links if you are interested in something but aren't quite as obsessed with gold as I seem to be! 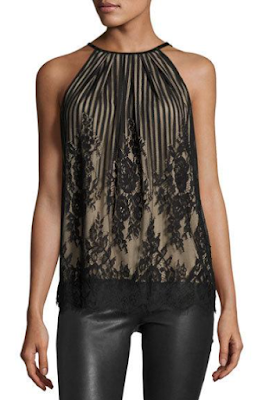 Well...I hope that gives you some inspiration for your holiday and NYE outfit planning! Party on Wayne...Party on Garth!